Considering all of the areas a person can get cancer, it makes you wonder why heart cancer is so rare. One interesting theory is that the heart is the most electrical organ in the human body. 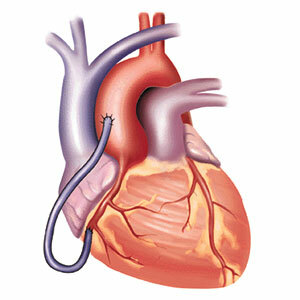 Heart cells have a voltage of 120 megavolts (mV) and, in some cases, a slightly higher voltage. This is almost twice the voltage of some other cells in the body. Pulsed Electromagnetic Frequency (PEMF) acts as a “whole-body battery charger” by recharging each of the 70 trillion cells in your body. Though it’s impossible to charge your cells as high as the heart, we can raise the voltage of the cells in your body up 70 mV, or to 110 mV in the case of high-activity athletes. In most people, you can expect between 70 mV and 90 mV. PEMF acts like a spark, ignition, or impulse that keeps the cells charged at an ideal voltage. Just like a car, the human body needs fuel, oxygen and ignition – a spark plug. All metabolic processes are driven by this cellular charge: adenosine triphosphate (ATP) production, oxygen, nutrient absorption, waste removal, immune function and reproduction. When your cells are sick, they lose energy. As a result, there is not enough ATP and your cells’ voltage drops to 40-50 mV. People that are sick potentially have voltages as low as 20 mV (in the case of cancer). Cancer cells typically have a voltage of 20 mV and are in fermentation, meaning they need 10 times more energy from the environment. PEMF builds energy within your cells, oxygenating and alkalizing the cells. PEMF improves circulation so the conversion of nutrients and oxygen inside the body can occur at optimum performance. PEMF also increases the efficiency with which your body processes and expels waste matter and keeps your system running smoothly. With physics being used for mainstream medicine, electricity has been used to treat glioblastoma. I prefer PEMF, but this news is the beginning of a new understanding in medicine about physics, which I predict will lead to many exciting things like NeuroStar TMS Therapy®. This NeuroStar system is FDA-approved and in use today at UCLA, Stanford and Yale, but so far only approved for unresponsive depression. There is also another logical explanation for why PEMF is doing so much good for people. This involves an electric charge like the newly approved FDA device for brain cancer and turns on the body’s healing power. Now combine that with my FIGHT program, and be prepared for miraculous healing!